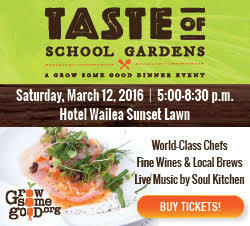 Grow Some Good’s annual fundraiser, Taste of School Gardens, will take place on Saturday, March 10, at Maui Tropical Plantation. 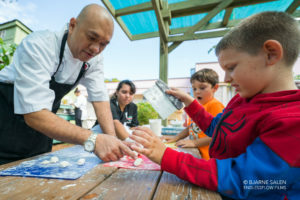 Surrounded by lush farmland, the site lends itself to the farm-to-table mission of the event, where delicious dishes, inspired by all the good things growing in school gardens, will be served by Maui’s premier chefs, as they come together to support school garden programs. 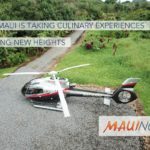 New Chefs participating this year include Chef Jeff Scheer of the Mill House, Chef Paris Nabavi of Pizza Paradiso Mediterranean Grill, Chef Geno Sarmiento of Nick’s Fishmarket, Chef Ivan Pahk of Aloha Mixed Plate and Chef Chris Kulis of Mākena Golf & Beach Club. Joining the event again will be Chefs Jaron Blosser, Cody Christopher and Travis Morrin of Fork & Salad; owner Nicol Bradley of Ono Gelato Kīhei; Chef John Cadman of Maui Breadfruit Company; and longtime supporters Chef Craig Dryhurst of DUO at Four Seasons Resort Maui at Wailea and Chef Kevin Laut of Outrigger Pizza Company. Outdoor living classroom at Taste of School Gardens 2017. Photo by Mieko Photography. 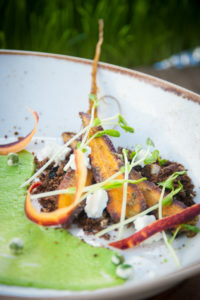 “Peas & Carrots” culinary creation by chefs at Three’s Bar & Grill for the Taste of School Gardens fundraiser in 2017. Photo by Mieko Photography. 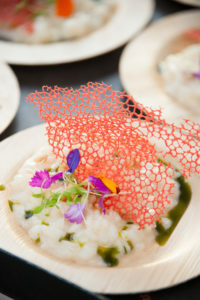 Special risotto crafted by DUO at Four Seasons Resort Maui for Taste of School Gardens. Photo by Mieko Photography. 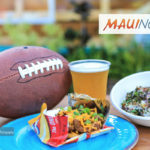 Attendees will enjoy dishes made from local and school garden grown ingredients, fine wine and local brews, live music from Maui’s Deborah Vial Band, and mountain sunset views. Fun, unique dinner events will also be featured in the live auction. The non-profit organization implements and maintains gardens and complimentary educational programs at eleven schools on Maui. 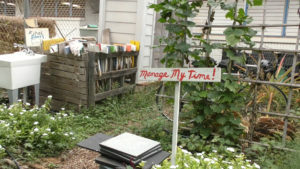 Learn more about getting involved at the Grow Some Good website. 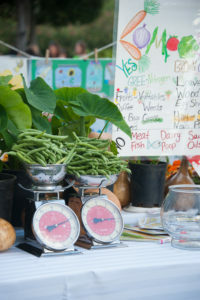 Here’s some of what’s happening at the Taste of School Gardens, which is a 21-and-older event. 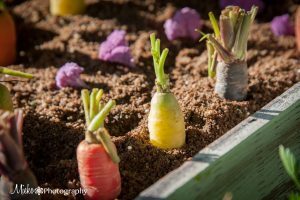 OUTDOOR: In the Outdoor Classroom under the Big Tent our enthusiastic garden educators CLASSROOM will share lessons, activities and resources that Grow Some Good and our Maui School Garden coordinators use everyday to engage and inspire our keiki! LIVE AUCTION: Unique dining experiences and foodie prizes donated by our community supporters will be available for guests to bid on during our exciting live auction, led by professional auctioneer, Joe Teipel. Auction items may include private luxury in-home dinners by participating chefs, fresh produce for a year and an oceanfront pizza party. SILENT AUCTION: Activities, dining experiences, hotel stays, art and more will be available to bid on through our silent auction. STUDENT ART: Purchase a unique student art piece for $5 and be entered in a prize drawing.